Two days is certainly not enough to discover the city of Berlin in the most extensive way possible, but it should allow you to experience an overview of one of the most historic cities in Europe. On your first day, it is a good idea to focus on the most significant sites in the city. 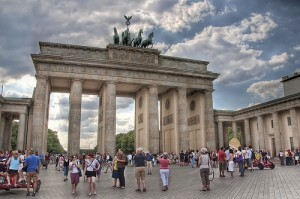 Start off your day in Mitte, which is the historical center of Berlin. Here, you will experience the influence of Prussian culture at its finest. Look around at the famous Alexanderplatz, and gaze up at the Fernsehturm (also known as the TV Tower), which is the tallest tower in Berlin. Allot some time to take a stroll down Unter den Linden, the famous boulevard which offers some of the best architecture in the city. 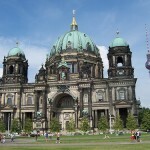 Points of interest include the Berlin Cathedral (Berliner Dom), the Pleasure Garden (Lustgarten), and Museum’s Island (Museumsinsel). For some shopping, you should head on over to Kurfürstendamm, Berlin’s western center. From little shops to big department stores, you can find them here. After a day of walking around the city, try one of the numerous cafes and restaurants and have a bite of currywurst (fried sausage slathered with curry ketchup) and a drink of Berliner Weiße! 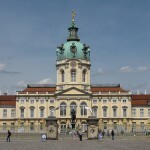 Rise bright and early on Day Two, and start at the Charlottenburg Palace (Schloss Charlottenburg), which used to be the summer residence of the old kings of Prussia. You might find yourself getting lost in the wonderful art and architecture as well as the gardens and small lakes in the area. Nearby is the home of the Berggruen Collection, where you can feast your eyes on modern art. Next stop: back to the Mitte area, the Nikolai Quarter (Nikolaiviertel) to be exact. The tiny alleyways will take you back in time – to the excellent German cuisine offered in the various restaurants. Last stop is Spandauer Vorstadt, which used to be the Jewish quarters. There is a splendidly restored synagogue in the area as well as a cultural center. You can also put your feet up in one of the countless cafes dotting the area.